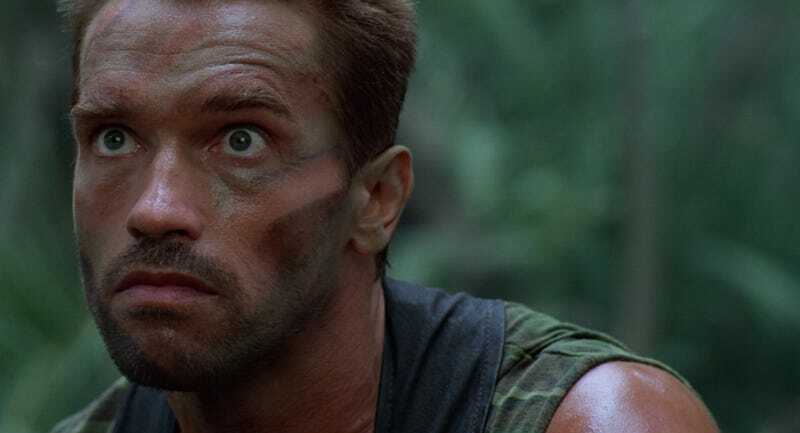 Right now, a brand new Predator film is in production from writer-director Shane Black. With Black’s reputation for fast, funny, action comedies, that sentence should pique anyone’s interest. One person who is not interested, though, is the original film’s star, Arnold Schwarzenegger. Or so he says. In an interview with Yahoo Movies, Schwarzenegger had this to say about the new Predator film. They asked me, and I read it, and I didn’t like it, whatever they offered. So I’m not going to do that, no. Except if there’s a chance that they rewrite it, or make it a more significant role. But the way it is now, no, I won’t do that. What does he mean by that? Well, Shane Black—who played Hawkins opposite Schwarzenegger in the 1987 original—responded to a fan on Twitter that, basically, Arnold wanted more screen time than his character was originally given. For more detail, Alien vs Predator Galaxy says Schwarzenegger’s character Dutch showed up at the end of the film to tease a sequel, which sounds like maybe he would have a bigger role in the rest of the series. But that doesn’t matter. Arnold is not doing it. Or, and I’m just throwing this out there, maybe they are just playing a long con and he will actually show up. After all, Schwarzenegger has discussed coming back to this franchise in the past and he obviously has no problem doing smaller roles these days. If his role is a huge secret, an answer like “Well, we’ll see” or “I can’t really say” would give it away. (Hi Frank Oz!) However, by just lying, you scrub that from people’s minds. Later, if fans get mad, you can just say you were protecting the secret. This is not uncommon. Ask Simon Pegg, Marion Cotillard, and others. Honestly, I don’t think this is the case, but it is certainly a possibility. Has anyone seen Schwarzenegger in Vancouver recently? Shane Black’s Predator film opens February 9, 2018.